For Catholics, Lent Season is time of preparation for Holy Week up to Easter which is celebration of the resurrection of Lord Jesus Christ. Looking for the famous Catholic Lenten Season Quotes and Sayings? Check out this collection Catholic Lenten Season Quotes and Sayings by some famous people personalities and famous text messages about Lenten Season. If you have your own favorite Catholic Lenten Season Quotes and Sayings, we would love to hear it, simply add a comment below or just email it to us with a subject: catholic lent, and will posted up for you. Hope you'll like it! "Nothing, how little so ever it be, if it is suffered for God's sake, can pass without merit in the sight of God." The disciple simply burns his boats and goes ahead. He is called out... The old life is left behind, and completely surrendered. The disciple is dragged out of his relative security into a life of absolute insecurity... out of the realm of the finite...into the realm of infinite possibilities. 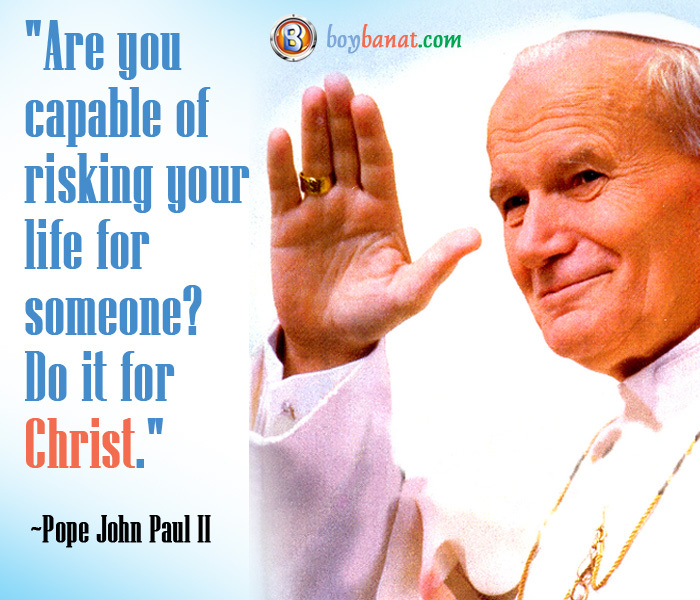 "Are you capable of risking your life for someone? 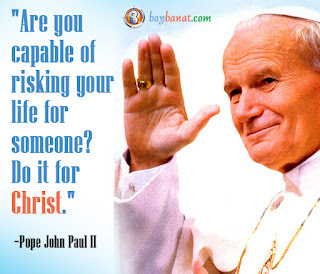 Do it for Christ." Being a Christian is more like having your soul possessed by a spirit than having your mind clothed with new beliefs... It is like being haunted by the Holy Ghost. "Yes, I love the cross, the cross alone, because I always see it behind Jesus' shoulders." "We all suffer for each other, and gain by each other's suffering; for man never stands alone here, though he will stand alone hereafter; but here is he is a social being, and goes forward to his long home as one of a large company." God is waiting for the response of our freedom. Our own choice, our own creativity, is essential to the drama, and this makes the world a drama fraught with real peril. If you have you own Catholic Lenten Season Quotes and Sayings, feel free to share it with us and we will be very glad to have it posted here. 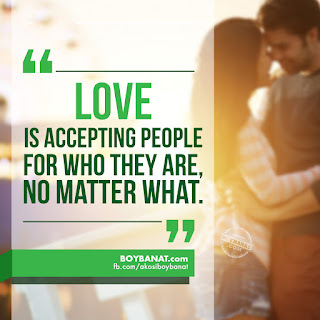 For latest quotes, jokes and banat lines, just visit us again at www.boybanat.com or at our Boy Banat Official Facebook.